Islamic month of Rabbi-ul-Awwal is celebrated across the world as the month of the Holy Prophet Muhammad (peace be upon him).The month marks his birthday. 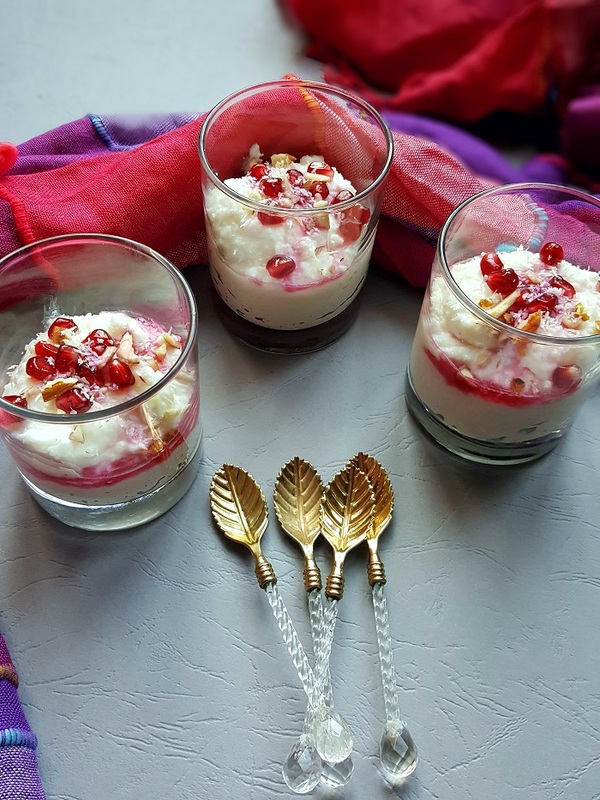 We Dawoodi Bohra Community ,traditionally makes a sweet dish known as Kalamra, it is at heart made with cooked rice, mixed in with its Signature ingredient, the yogurt.I add cream and condense milk too for its creamy texture .Finally garnishing it with dry red Rose petals and fresh Pomegranate seeds. Description : A Bohra dessert made of Rice and Yogurt. Stay Connected with my food updates on Instagram and faccebook @melaswithmemories .